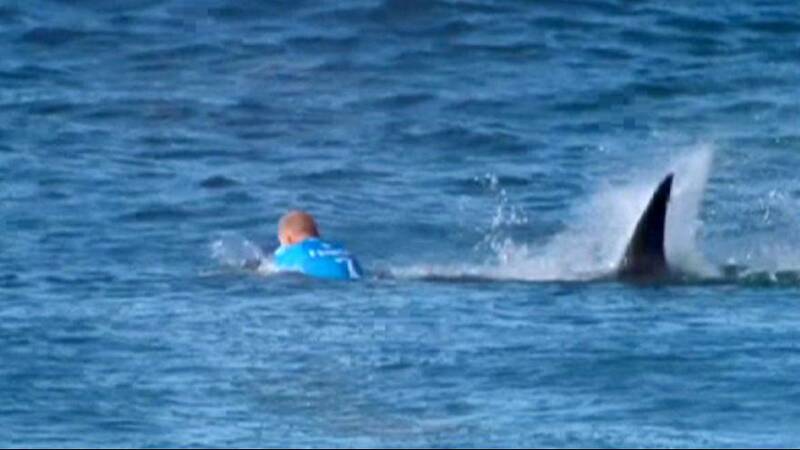 Australia’s triple surf champion Mick Fanning walked away shaken but uninjured after having a close-encounter with a shark mid-competition in South Africa. I just saw fins. I was waiting for the teeth. Paddling out to ride his first wave, a menacing grey fin appeared in the water behind him before knocking the 34-year-old off his board. The whole episode being caught live on camera for Sunday’s final of the World Surf League’s J-Bay Open. “I was just sitting there and I felt something just get stuck in my leg rope, and I was kicking trying to get it away,” Fanning, told Fox Sports channel . “I punched him in the back”. Fanning made a bee line for the shore and was picked up by a support craft. In light of the attack, the competition’s organisers decided to end the finals a day early and split the prize between the two finalists. South African waters are among the most shark-infested in the world, though fatal attacks remain rare.